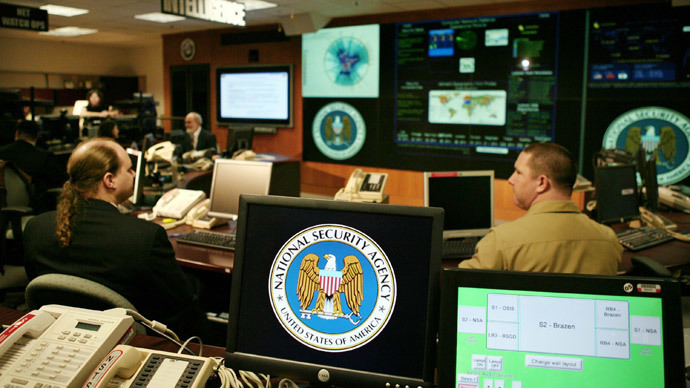 Edward Snowden has warned that Britain’s GCHQ spy agency is a bigger threat to privacy than the NSA, as it uses illegally collected information in criminal prosecutions and, unlike in the US, has relatively few constitutional checks on its activities. 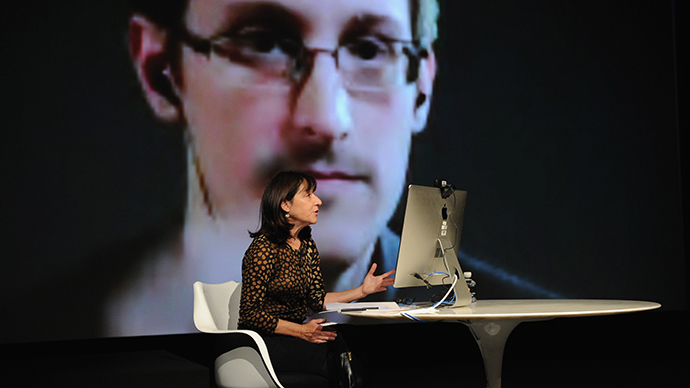 Speaking by Skype video linkup to a London festival, Snowden also emphasized why it shouldn’t be up to the citizen to justify why they need a right to privacy – something that forms the core of his beliefs and decision to go against the law. When citizens “don’t have the opportunity to challenge [such evidence] in courts – judges aren’t aware where this evidence originated from – it undermines the system of laws, the system of justice… upon which we all rely,” Snowden said. While in the US there are “constitutional protections that prohibit even the passage of any laws that might enable [surveillance] programs… In the United Kingdom, where you don’t have the same kind of constitutional limits on the sort of laws the parliament can pass, what we’ve seen is the creation of a system of regulations where basically anything goes,” he added. Snowden’s comments came as part of a media blitz by the former NSA intelligence analyst, including two video linkups and the New York premiere of ‘Citizenfour,’ a documentary about his whistleblowing activities by filmmaker and investigative journalist Laura Poitras. 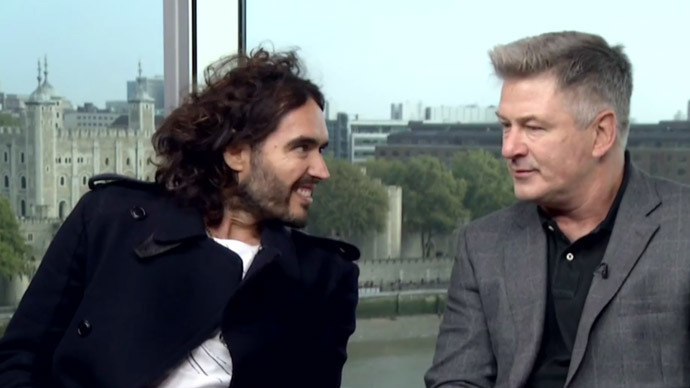 This time he spoke to an audience gathered at central London’s Observer Ideas festival. The lack of mainstream media interest in this danger to privacy rights disappointed Snowden, who called it a “disservice to the public.” Much of the media coverage of the urgent need to readjust the public attitude on privacy is either missing, or done in an unfavorable manner, Snowden said. 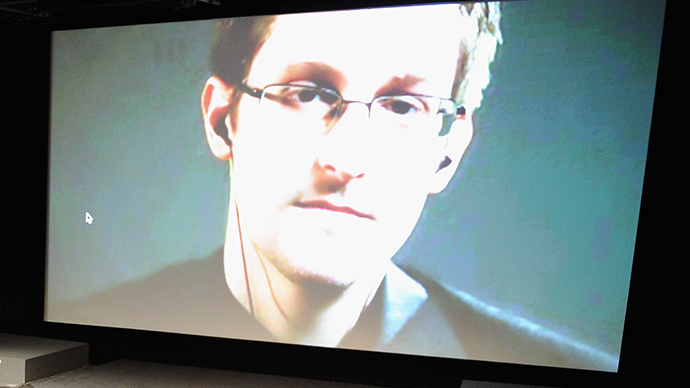 As with the New Yorker interview, where Hangout and YouTube viewers could glimpse the Google logo over Snowden’s face as he denounced the company’s intrusive practices, the Skype logo could be seen as he spoke this time around – both occasions providing comic relief to online audiences worldwide. In his recent comments, he has addressed questions about whether he misses his former life, and whether the sacrifices he has made could be considered an acceptable trade-off. He also told the London audience about his angst in having to abandon his girlfriend for a life on the run, and about their later reunion in Russia, and his life in Moscow. He also reiterated that he really loves his country and that his actions were motivated first and foremost by patriotism. 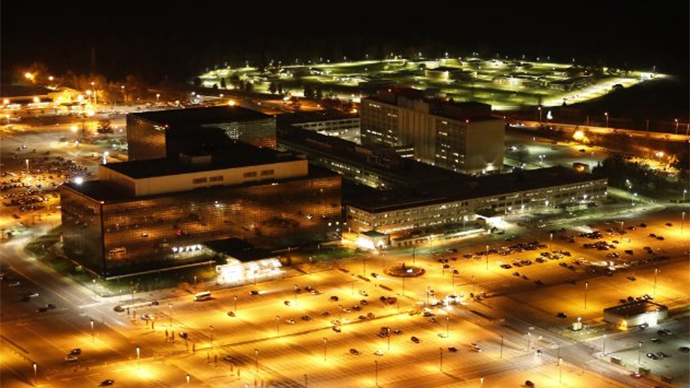 The new documentary, Citizenfour, opened in New York on Friday. It takes its name from the online handle he used to first leak classified US government documents to Poitras and ex-Guardian journalist Glenn Greenwald.